People’s preferences when it comes to smart phones has changed and progressed a lot these days. Back then, mobile phones are regarded highly if it has innovative features that are functional. But with the wide array of these devices in the market created by the leading mobile phones and operating systems manufacturers these days, people start to take more considerations in regarding a phone as an amazing device by looking into the features, durability and design. While the leading mobile phone and operating system companies are having difficulties in achieving all these characteristics even with their flagship phones, Nokia was able to capture all these traits with their Nokia Lumia 900. This unit is the top-notch among Nokia’s line of Lumia phones and will be running with the Windows Phone 7.5 operating system. The Nokia Lumia 900 comes with a classy and sleek design with the black variant but people who want to have a more bizarre or fun look for their smart phone can choose from the cyan or magenta models. Those who want a simple but elegant look for smart phone can also choose the white Lumia 900. Other than the color, its flawless design and clean curved sides also gives the phone an impressive over all look. Having the phone in your hand also gives an amazing feel with its solid structure due to its polycarbonate material for the frame. However, consumers who were able to get a hold of the iPhone 4S and the Samsung Galaxy S3 will notice a heavier weight difference with the Nokia Lumia 900 due to its 160g weight, which is 16g more than the iPhone 4S and 44g more than the Samsung Galaxy S3. Nevertheless, the unit is still convenient enough to use inspite of the additional weight. The display is also quite impressive with the 4.3-inch screen topped with a durable Corning Gorilla Glass that protects the vibrant AMOLED display. With these features, the user can have a vivid view of the images and movies that can be stored in its broad internal memory. The looks is not the only thing that makes this phone amazing. Its 1.4GHZ Qualcomm processor allows the user to navigate through the applications smoothly. It can also do different functions simultaneously such as send emails, view movie streams and receive text messages. It does not have a slot for the SD card but its extensive 16Gb internal memory is enough to store a lot of videos, images, songs and apps. The Windows Phone 7.5 operating system which is dubbed as ‘Mango’ is also something to look forward to. 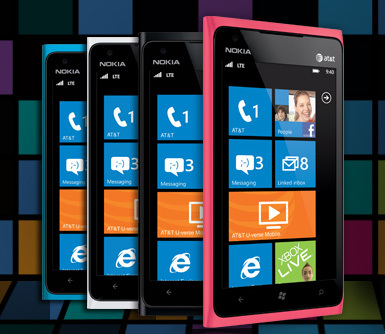 The new Metro UI has intrigued a lot of people since its inception and they will certainly have a great experience having this in the Nokia Lumia 900. It may cause some confusion at first, especially to those who are not yet familiar with the operating system but it will soon prove to be functional once the user was able to get used to the system. Nokia will indeed, be able to redeem its name in the mobile phone industry where Android and iOS smartphones are thriving with their flagship Nokia Lumia 900. With their fantastic apps, georgeous hardware and the sensational Windows 7.5 operating system, it will certainly be among the most sought after smart phones for a couple more years to come. Kristine M. writes about the latest smartphones in the market and high speed internet. More updates on the new releases of smart phones will be tackled in her next posts. Meanwhile, internet users can research more information on internet providers at Broadband Expert, an independent broadband providers comparison website. Another phone that impressed many people. I love the feature and the idea of redeeming some features from Widows. Thanks for sharing it. It definitely was one of the new phones that impressed me, but I didn’t like the way Nokia handled it by slashing its price in half. Most of the reason is because it isn’t getting the Windows Mobile 8 update and the contract is a 2 year one. They kind of shot themselves in the foot with that one.